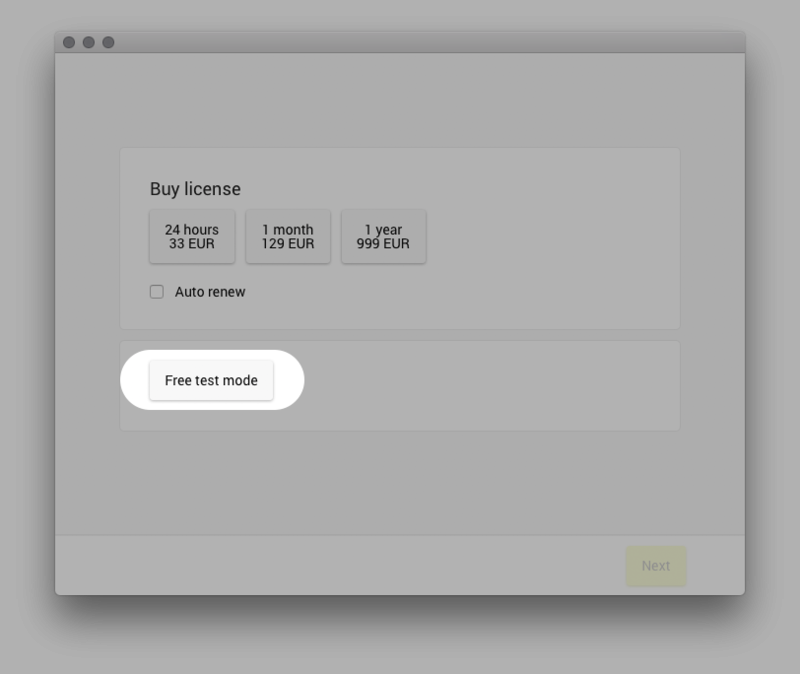 Right after you login you get the option to buy a license or test out LiveReplayer with an overlay. To start testing, just click the Free test mode button. When you want to remove the test overlay to use for a published production you buy a license. Choose your desired package in the wizard appearing after you login. You then need confirm the purchase at the next page. The first time you do this you need to fill in your credit card information and billing address. You can prepare this information on the payment settings page. 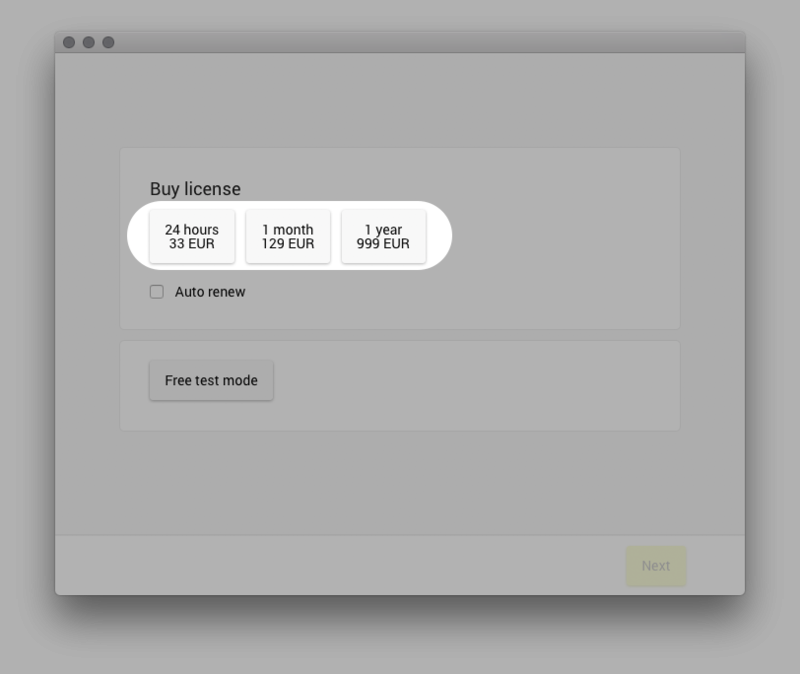 You can see the license expire time by going in the menu and choosing LiveReplayer → License.